Simply put, this is an amazing New Generation splash petal harlequin, soon to be a classic and creating a new standard for modern pink harlequin Phalaenopsis ! 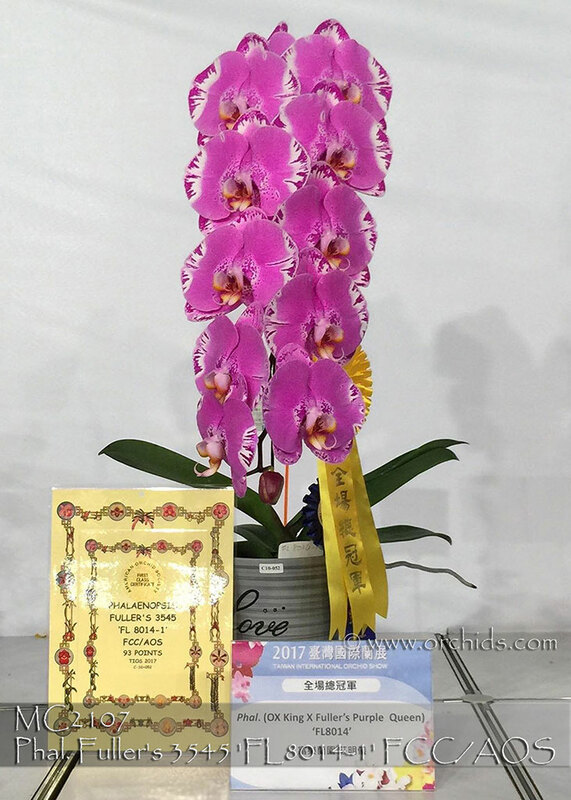 At the 2017 International Taiwan Orchid Show, it not only garnered an FCC/AOS but also carried the distinct honor of being the Grand Champion of the show. These are from Fuller’s Orchids, the original breeder of this clone, and are a first release in the US. 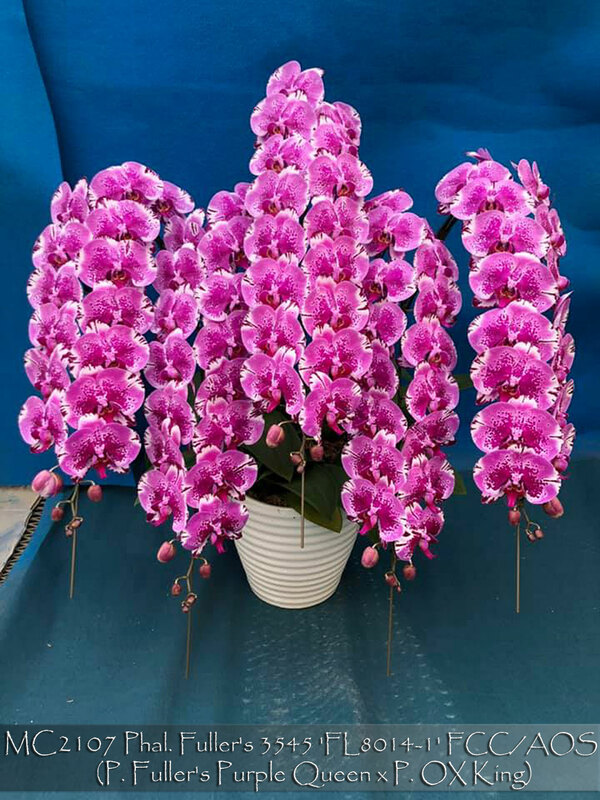 Its flowers are very flat, exhibiting tremendous full form and impressive 5 ½” flowers on a compact grower. The judges all called it “spectacular” in its presentation and arrangement on a cascading inflorescence. Firm substance and a sparkling texture only added to its magnificence. Very Highly Recommended for the Best of the Best ! FL8014-1, FCC/AOS , Note: Premium Graade has 2 tall spikes.